Aside from being a place for sleeping and relaxing, we also do other activities in our own homes. Yes, we also entertain guests in our homes, or maybe even work in a small home office. That is why it is important for a home to be flexible while being comfortable and cozy at the same time. Do you want to see a home like this? Well, we are going to show you Casa CSF located in Mexico. It is designed by Lopez Duplan Arquitectos which aims for complete flexibility as the daily activities of the family can be a normal routine or completely new. It was very important that each area can be easily adapted to both possibilities. Want to see how the architects did that? Unique feature: This modern home has a warm aura and is designed for flexibility. It aims to make both homeowners and guests comfortable. The lot shape is a basic rectangle but the designers adjusted the size to get the most benefit from the space. On the facade, two planes are clearly appreciated as part of the same volume. Aside from that, the garden looks really nice too. 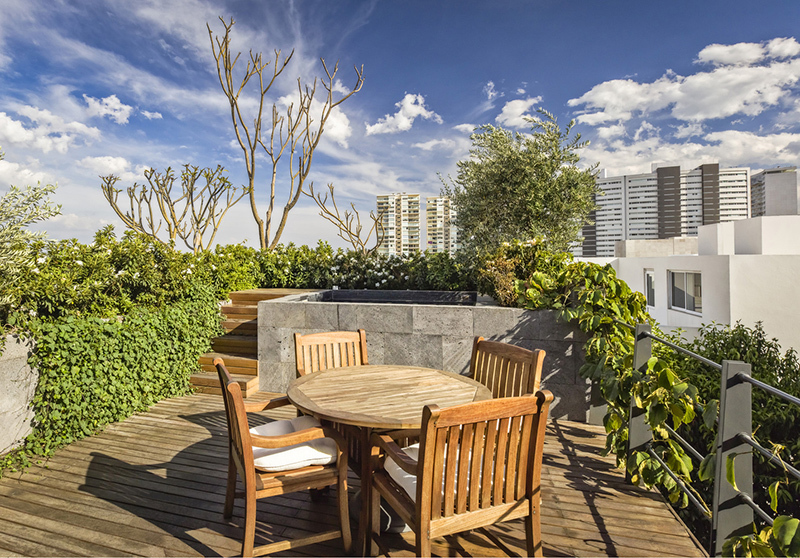 The house is formed by public and private areas which are divided into three main floors. On the ground floor, you can see a generous living and dining room that is located next to the kitchen that integrates a living area. The mirrored coffee table brings more light into the room. Family life is very important for the owners. Hence, the designers decided to create a harmonious and flexible ambiance to suit all the activities. 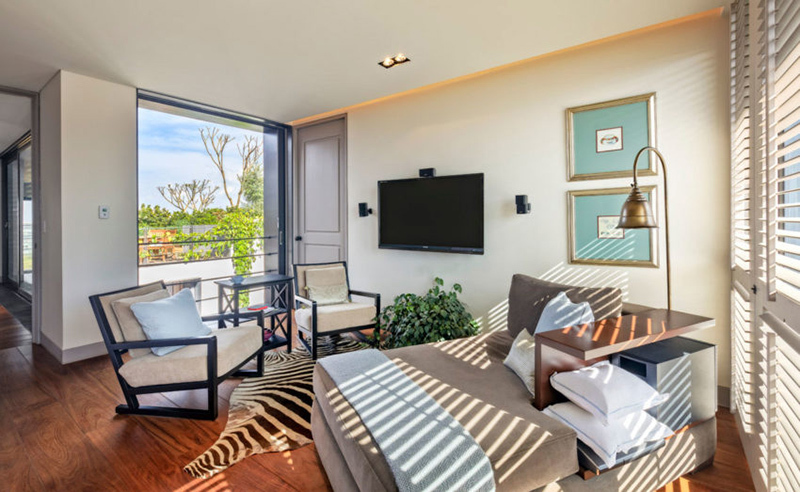 The living area, which you can see here, is connected to the garden outdoors. All the areas in the house have large windows and doors that open and hide to convert each area in a single one, open or closed. 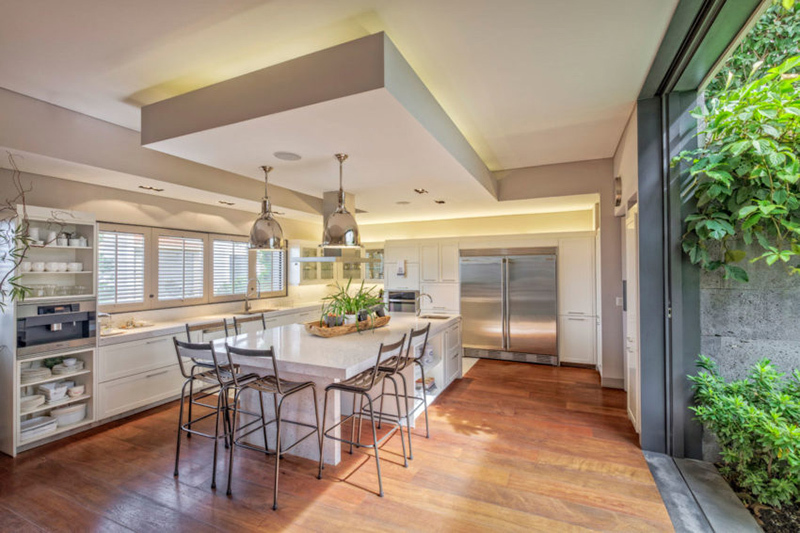 The total interaction between the inside and the outside is important for this project to make the most of the space. You can see that in the living area as well as in the kitchen. 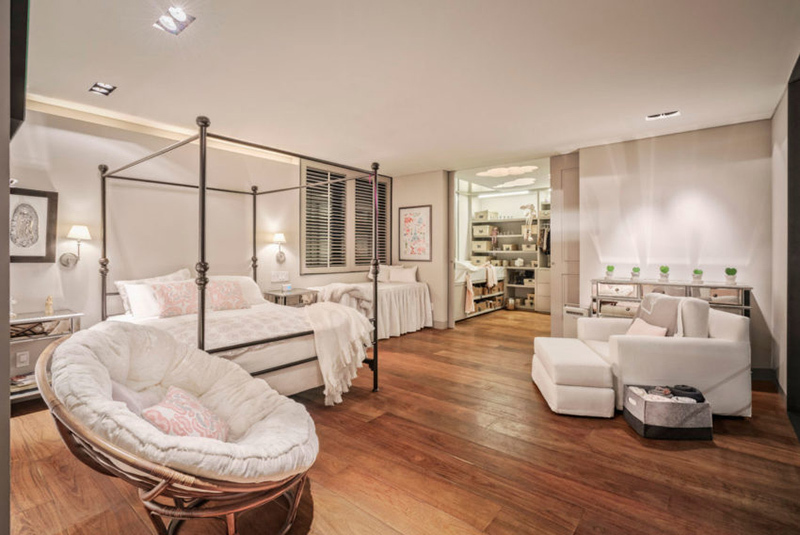 Seen here is a bedroom in white tones with wooden floors. It does look very relaxing with a subtle tradition touch. It has a little room inside it where the owner keeps some important stuff. Another bedroom in this house with a modern design. What I like here is the design of the bed which comes with a built-in side table which also doubles as storage. The zebra rug on the floor brings a chic touch to the bedroom. The back garden and the central courtyard give life and privacy to the whole house. 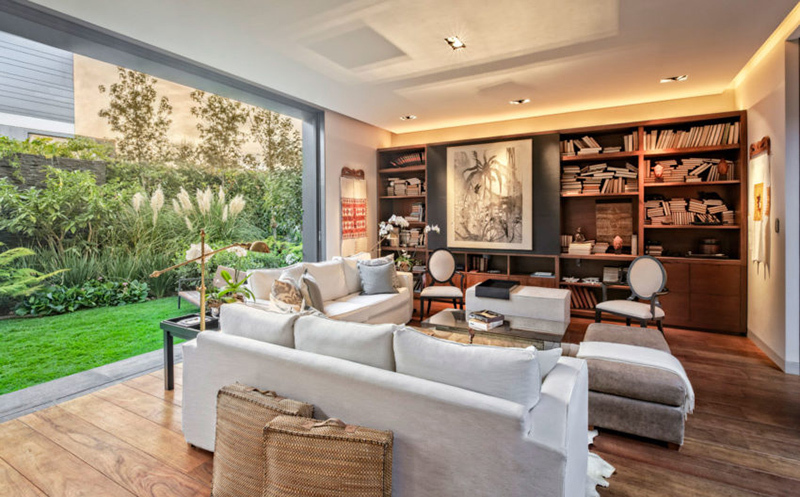 Since there is no space between houses, they make the most of the open space to give this family an oasis where they can enjoy indoors as well as outdoors. 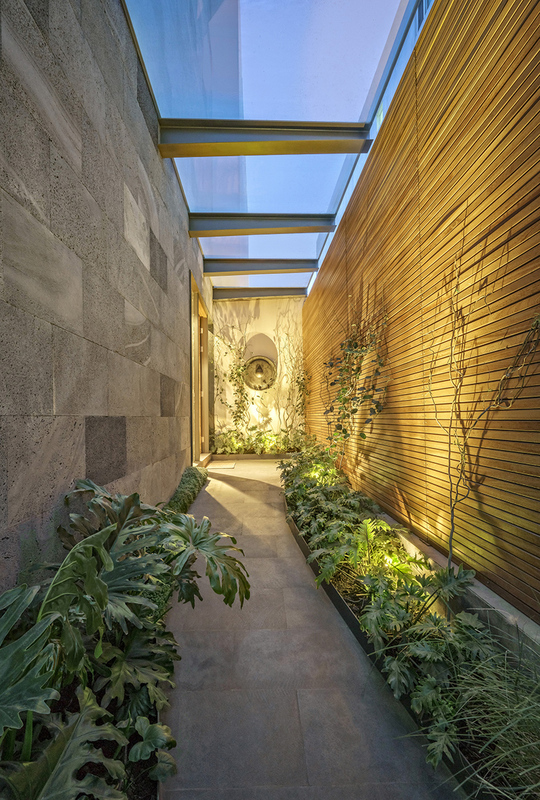 For the hallway that leads to the main entrance, stone is used for the floor and the left wall creates a very special dynamic due to its use of wood. It is also a good contrast with the wall on the right. Aside from that, the plants in the area makes it more inviting. The architects decided to use stone as the main material of Casa CSF to add strength to it. It can also enhance the personality of the project. The house was softened with vegetation all around it. 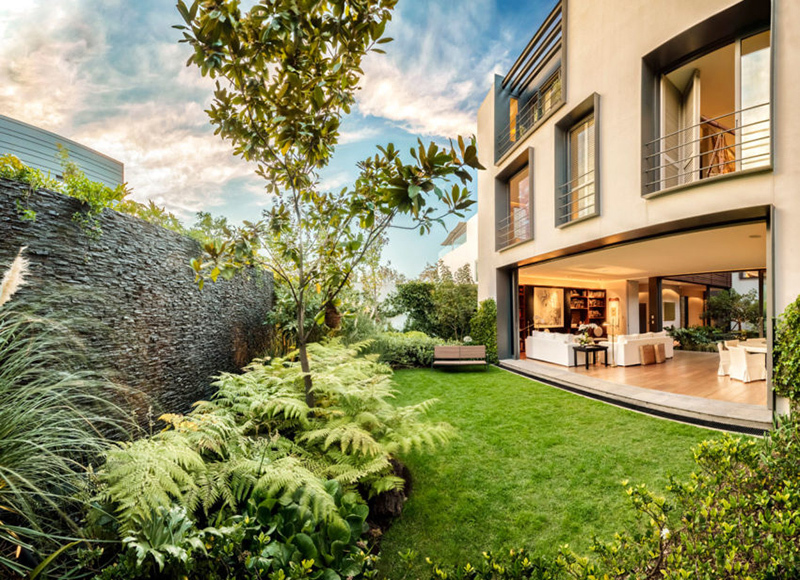 One nice feature of the house is the courtyard that allowed the designers to achieve a central space that besides joining to the sources of natural light and greenery for the interior, it created a transition area. It hides a corridor that connects the service areas to the public areas on the ground floor. 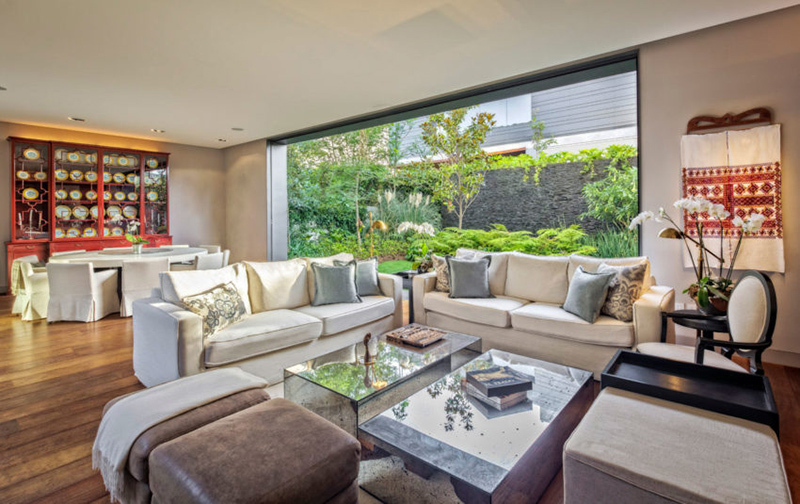 This beautiful modern house is designed by Lopez Duplan Arquitectos wherein one of the main objectives was to create a warm environment in which both residents and visitors feel at home. Apparently, this goal is achieved in this home with its inviting interior and striking architecture. 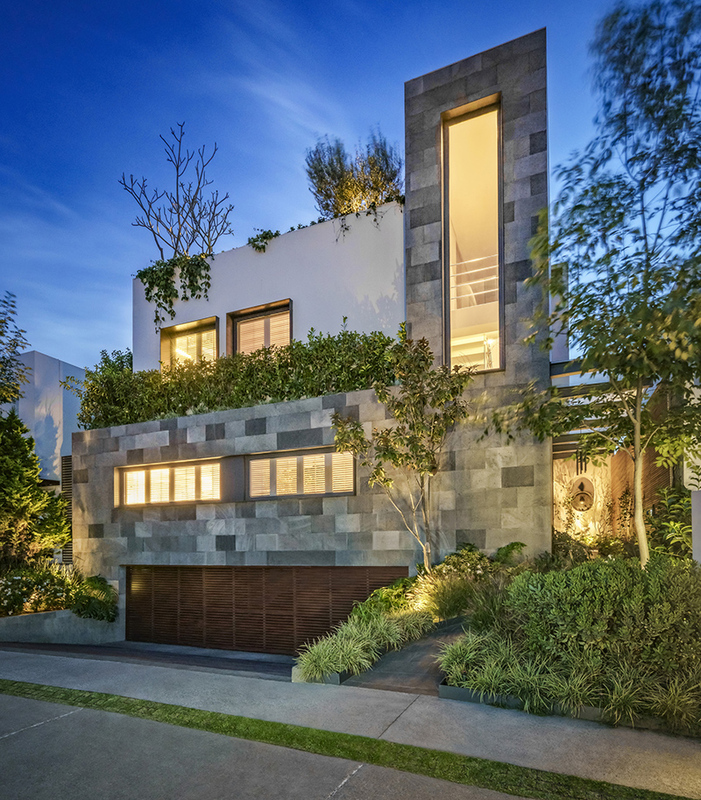 For sure, you will agree with me that this is one modern home that will inspire you for your future home!